Bazaar del Mundo’s second annual “Saints, Souls and Style” will pay homage to the dead with a Dia de los Muertos event featuring elaborately decorated altars, sugar-skull decorating and face painting. 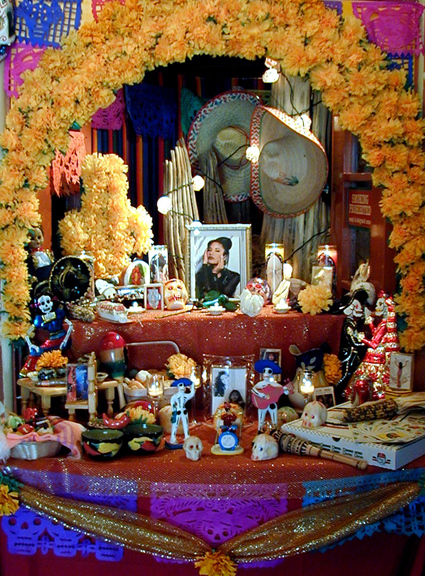 As the first stop on Old Town San Diego’s Annual “Tour of Altars,” produced by the Save Our Heritage Organization (SOHO), Bazaar del Mundo will transform its shops into a walkable trail of altars, complete with traditional sugar skulls, handmade papier-mâché decorations and special Day of the Dead-inspired clothing and crafts. Children and families can enjoy a sugar-skull decorating class as well as a face painter (Saturday only; noon to 7 p.m., small fee applicable). Drinks, snacks and coloring sheets will be available for the children, while historical handouts will be provided to adults. Neighboring Casa Guadalajara ­will have authentic Mexican cuisine for sale as well as event “specials,” and serve as the second stop on the tour. The event will take place Friday, Nov. 1 and Saturday, Nov. 2 from 10 a.m. to 8 p.m. at Bazaar del Mundo at the north entrance to Old Town, on the corner of Juan and Taylor Streets. “Saints, Souls & Style” is in conjunction with Old Town’s Dia de Los Muertos two-day event, which includes “Tour of Altars,” a candlelight procession, face-painting and mask decorating throughout Old Town at participating sites. This entry was posted by The Bazaar del Mundo on May 7, 2014 at 8:26 pm, and is filed under Uncategorized. Follow any responses to this post through RSS 2.0. You can leave a response or trackback from your own site.